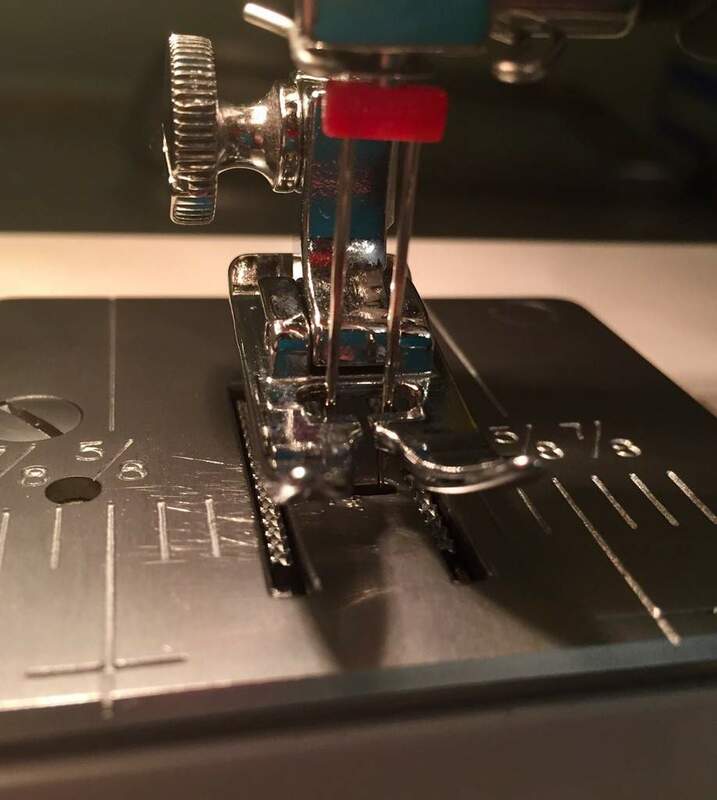 I just used my twin needle for the first time today and must say it is a DREAM. I had been scared to try something new and mess up so I looked up how to use my needle and it was actually super easy. Here is a little tutorial for anyone else out there who needs a nudge to get going. 1) remove your single needle and put in your double. 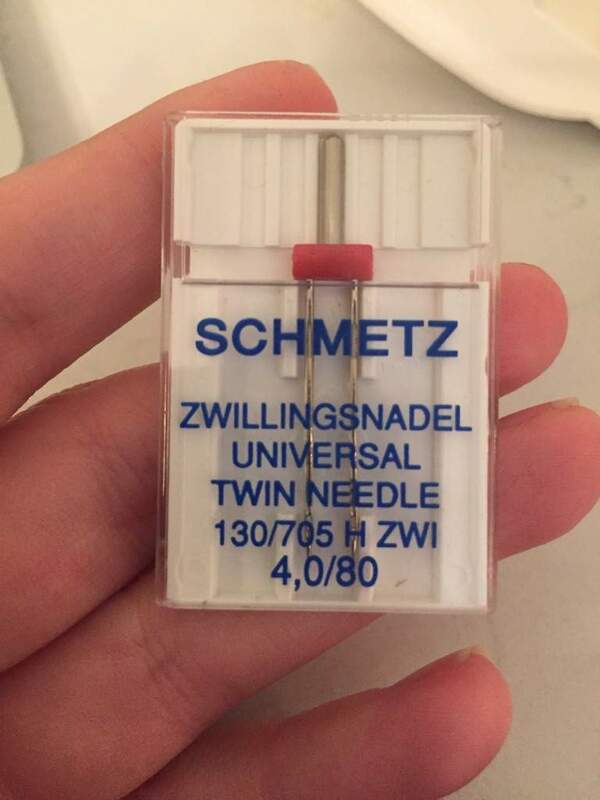 A 4.0 twin needle is recommended for hemming and the like. 2) make sure your foot opening is big enough to accommodate the needle. DO NOT zigzag with a double needle unless you have a zigzag foot. My regular foot was fine for straight stitch. 3) get 2 spools of thread (or a spool and a second bobbin). If you have a double holder like my machine you are good to go. If you only have one stack the threads. Make sure they unwind from the opposite directions so they don't get tangled if you stack them. 4) thread your machine normally. I did mine one thread at a time. Separate the threads at the bottom and put them through each side of the needle. 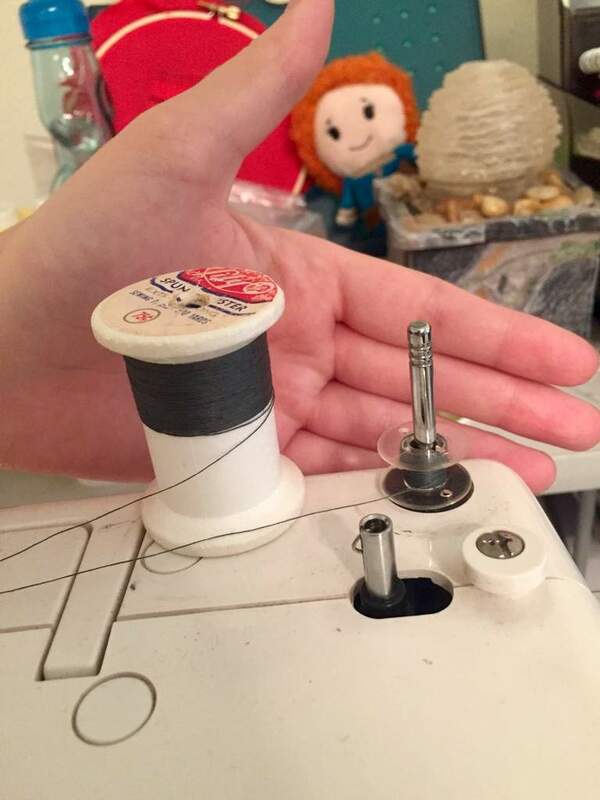 The bobbin thread should lay between the two top threads. 5) get to sewing! The fun part! The top side of the fabric will display two evenly spaced lines and the bottom will be a zigzag. I rolled my hem so thats why it is so thick. 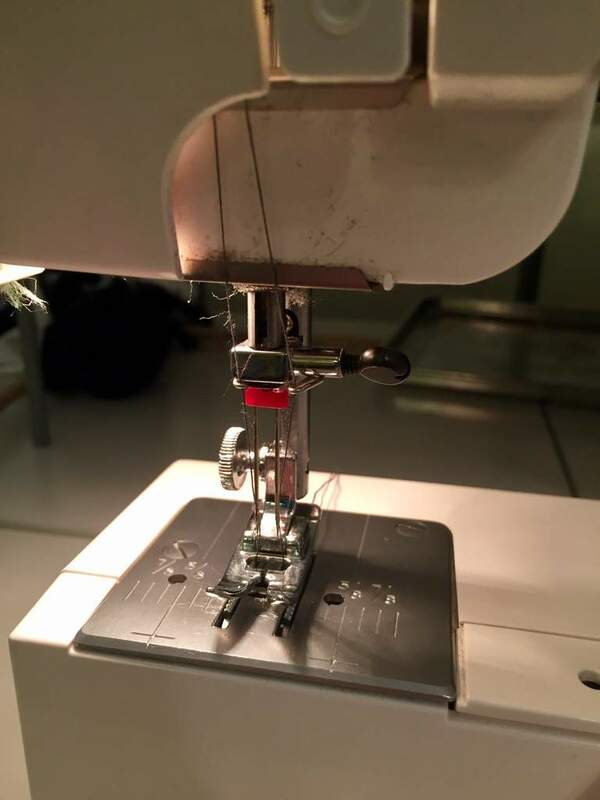 You can use a twin needle for a regular hem as well and it gives a very professional look. A twin needle is also often recommended for stretch fabrics.